How fun to make my own Goat milk cheese. We have some friends that raise the sweetest little goats. They take such great care of them and feed them only the best to produce lots of good fresh milk. Most of the milk is consumed making the most beautiful soaps that are so great for your skin and her colors and fragrances are just amazing. So, I talked them into letting me get some of that wonderful milk to try my hand at making some Goat cheese. 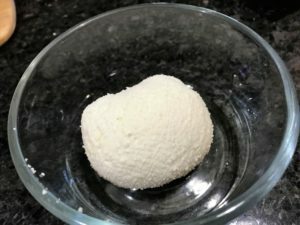 I have pinned so many recipes for making all kinds of cheese, so I felt this one would be a good first start and it seemed to be pretty easy to do. 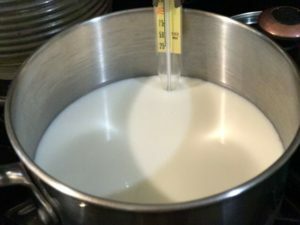 Well, I had to really constrain myself to not drink all the yummy milk before I started on the process of making cheese. 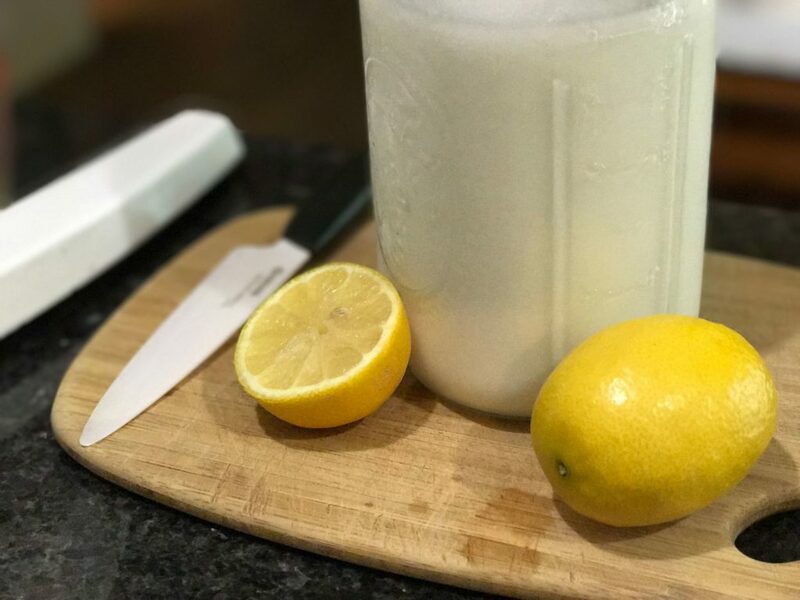 I am telling you, for real, this is the best tasting milk ever. So, it was a fun process and super easy to do. So here we go.